We believe the Feel Good Ambassadors play a vital role in developing the Feel Good Community. After all, ideas should come from the people and not just what we think will work – Shared leadership over dictatorship! 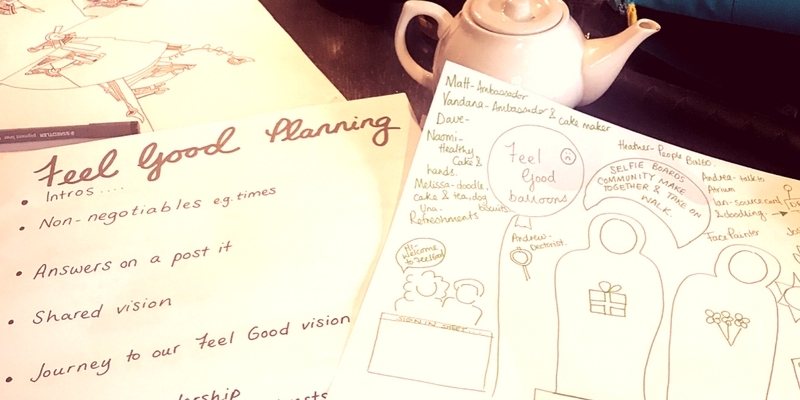 So with that being said, we planned a meet up to discuss our upcoming Feel Good In The Park event We devised a shared vision for the day, thought about what activities would help to achieve the vision and shared out responsibilities.